This is a really nice shot. The dragon fly looks ephemeral. I think I used that word correctly. If not, please correct me. wonderful shot. These guys are so pretty to photograph and they do such a good job of sitting still. Amazing detail on this one. 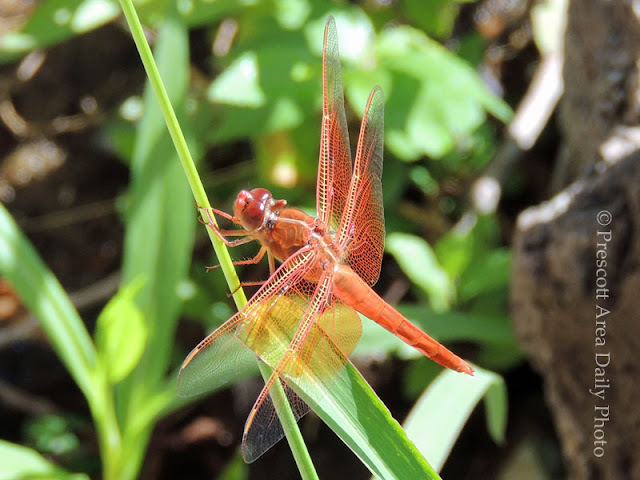 You caught this beautifully with your camera; love its gossamer wings!